tl;dr: More important than finding out how clients found your website or app, you should identify all the ways clients found out about it — and don’t rely on Google Analytics. Instead: 1. ❓Ask your client “how did you learn about us?” 2. 📝Normalize the answers. 3. 📐Extrapolate. 4. 📈Analyze and Report. 5. 🔄Repeat. We call it the ‘Canales’ framework. For the majority of tech companies, being able to identify their most important client acquisition channels is key to their ongoing success: it allows them to better invest their marketing dollars. Unfortunately, most entrepreneurs — and even marketers — don’t know how to do this properly. They focus on learning how their clients found them; they seldom determine how their clients learned about them. While the difference may seem subtle, the implications are significant. Let’s assume we can gain this information by asking our clients. Two questions we would probably ask are, “How did you learn about us?” and “How did you find us?”. For some channels (such as online paid advertising) the answer may be the same. For other channels, however, the answer may be different. Consider this scenario: Jane attends a trade show where you have a booth. In passing, she sees what you offer and makes a mental note. Weeks later, she wants to learn more about your product. She, like most people, doesn’t know the domain name of your company. So Jane opens the browser, types in the name of your company or product, Google performs a quick search, and shows your website as the top result. Jane then clicks on it. Now, if you were to ask Jane “How did you learn about us?”, she’d probably tell you she saw you at a trade show. On the other hand, if you were to ask Jane “How did you find us?”, she might give you one of two broad answers: “At a trade show” or “Google”. While both are technically correct, when it comes to measuring client acquisition channels, you’d want to attribute Jane’s discovery of you to the trade show instead of Google. Here’s the challenge: if you solely rely on Google Analytics (or most other analytics tools) to track your client acquisition channels, Jane will be assigned to the Google channel. And again, technically, this wouldn’t be an error. However, assigning Jane and a myriad of other clients to the wrong channel will ultimately lead you to invest in the wrong place. For example, if you’re investing in pay-per-click advertising on Google, you may mistakenly assign revenue and clients to the effort — especially if you’re investing in keywords that contain your own brand. Founding several companies (Voice123, Bunny Inc., Torre, etc.) has provided me with the opportunity of tackling this challenge with a number of different approaches. After years of trial and error, we’ve settled on a simple solution: we ask all our valuable users how they learned about us. To ensure this approach works well, we built a small framework around it. 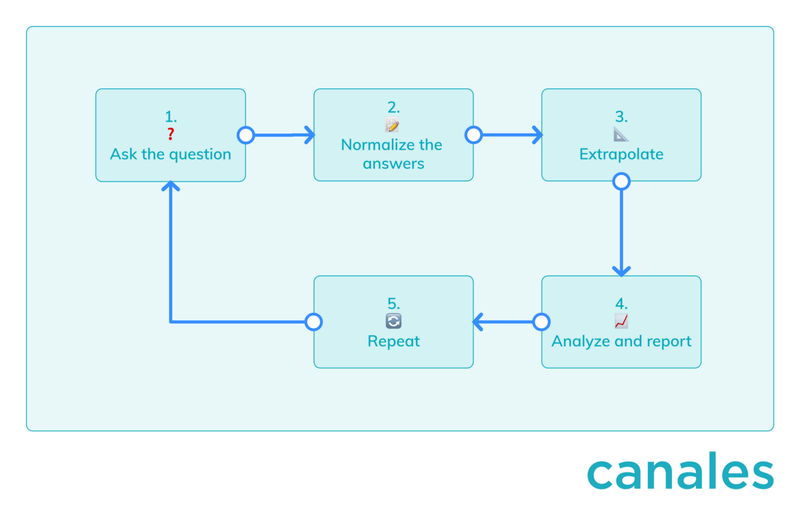 We call it Canales — and we’re making it public today so you can use it as well if you like. Have an automatic way of asking this question to your new users: ‘How did you learn about us?’. Ideally, to get a higher percentage of clients answering it, you make the question part of your product. To reduce friction, ask the question towards the end of your core interaction and make it optional — after the user completes a purchase, for example, or after the user subscribes, etc. 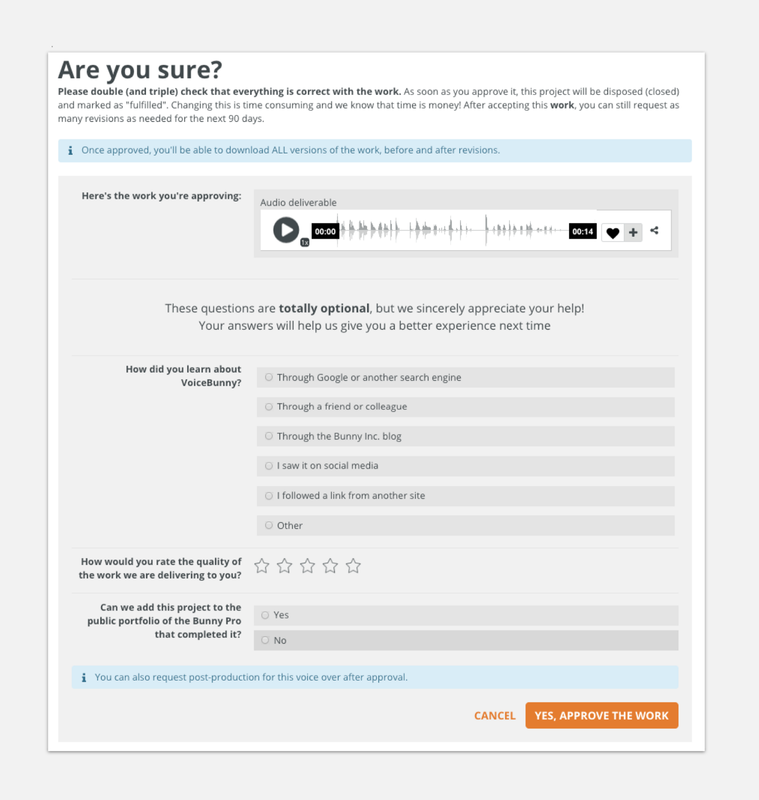 Alternatively, you can also ask the question via email, although this may reduce the percentage of clients that answer it. At Bunny Inc., where we sell creative services for mission-critical applications, we ask our clients the question when they receive their first deliverable and are about to approve it. To reduce bias and learn about new channels, I strongly recommend you make the question an open field text. When you limit your users to a set of questions, you bias their answers and limit their thought. Let them teach you. 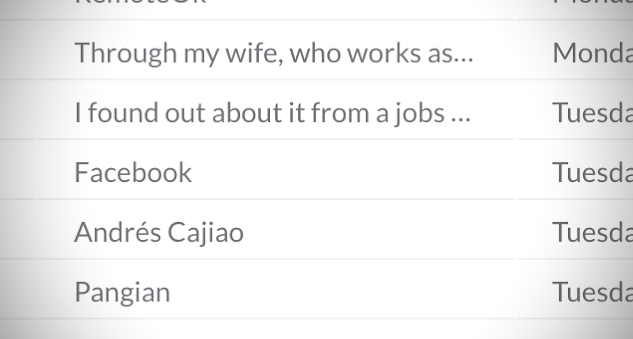 Every now and then you may come across channels and referrers that you hadn’t thought of. It’s happened to me on more than one occasion. Quite recently, in fact, we learned that a Brazilian speaker we had no knowledge of was inviting hundreds of conference attendees to use our service. This helped us identify an additional opportunity in the Brazilian market we’d never even contemplated. 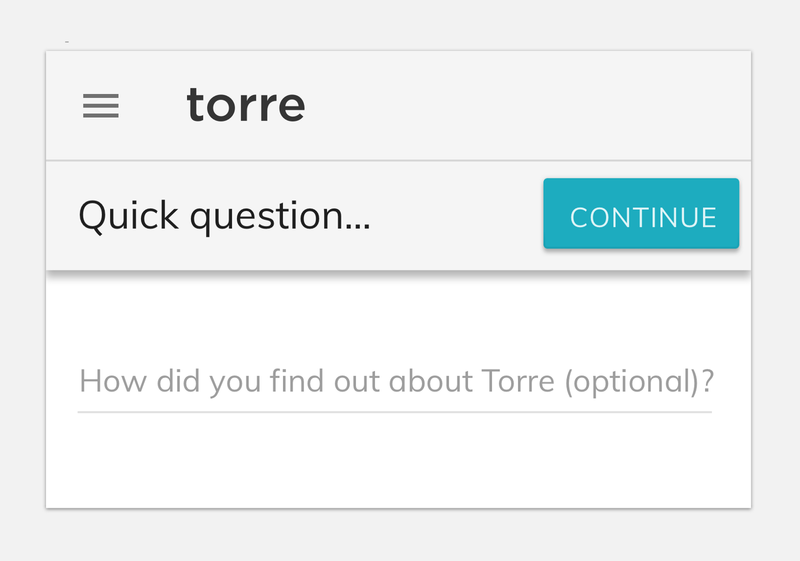 At Torre, we ask talent seekers the question right after they post a job or freelancing opportunity. We use an open field. “Colleague”, “Friend”, “Coworker”. Channel: word of mouth. “Booth”, “[Tradeshow name]”, “Event”. Channel: events. “Blog”, “[Publication name]”. Channel: public/media relations. “Facebook”, “Social media”, “Twitter”. Channel: social media (in some cases, users may be referring to a friend or colleague talking about your product on social media, though). “Phone call”, “You emailed me”, “[Sales person name]”. Channel: outbound sales. “Search engine”, “Google”, “Bing”. Channel: search engines (this includes both organic and paid traffic). Another common answer is “online” and “Internet”. Unfortunately, that could mean anything (search engines, social media, blogs, etc. ), so these answers need to be discarded. Of course, not all your customers will tell you how they learned about you. Maybe they decide to simply ignore the question, maybe they don’t remember, or maybe they answer “online” or “Internet”. In our experience, about a quarter answer it. If you have enough volume, the data you have normalized should be representative of the rest of your database. It’s thus safe to extrapolate it. You can display this information in two ways: the percentage of clients per channel and the total of clients per channel. Plot the historical values for each channel and look for trends. Client lifetime value per channel. You’re likely to find more insights there. At Bunny Inc., we found out that clients who learned about us via word of mouth have around a 20% higher lifetime value than our average customer, while clients who learned about us via affiliates have a 25% lower lifetime value. While Google Analytics and other tracking tools aren’t good at identifying all acquisition channels, they can provide detailed information about specific ones: keywords, referral sites, user locations, etc. At Voice123, for example, we store the normalized acquisition channels in Google Tag Manager and Google Analytics. We then use these to analyze particular goals and funnels in detail. In the early stages of a product, you may want to perform this analysis on a weekly basis. As you start scaling, it’s safe to change the rhythm to monthly or even quarterly. If you found this article useful, please recommend me. Thanks to Andrés Cajiao, Carel F. Cronje, Cristian Niño, Daniela Avila, Juan Colmenares, Luisa Moscoso, and Tania Zapata for reading and commenting on drafts of this article.